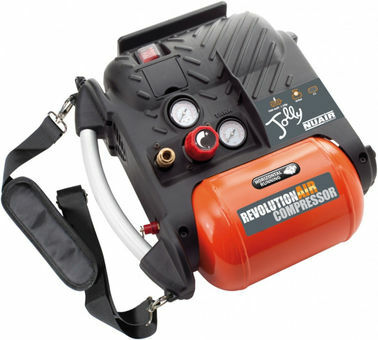 Compact lightweight and easy to carry oil-free compressor. Built-in storage for accessories. Equipped with a shoulder strap for easy carrying.